Pamplin Media Group - Holy Great Pumpkin, Charlie Brown! Holy Great Pumpkin, Charlie Brown! There's no need waiting in the pumpkin patch for something to happen on Halloween. Read on for places to go and things to do. Looking for places to take your goblins and goblinettes for fun, safe Halloween activities? Members of several churches and organizations are hosting events that include costume contests, pumpkin carvings and of course, trick or treating. There's even some fun for the over 21 crowd. 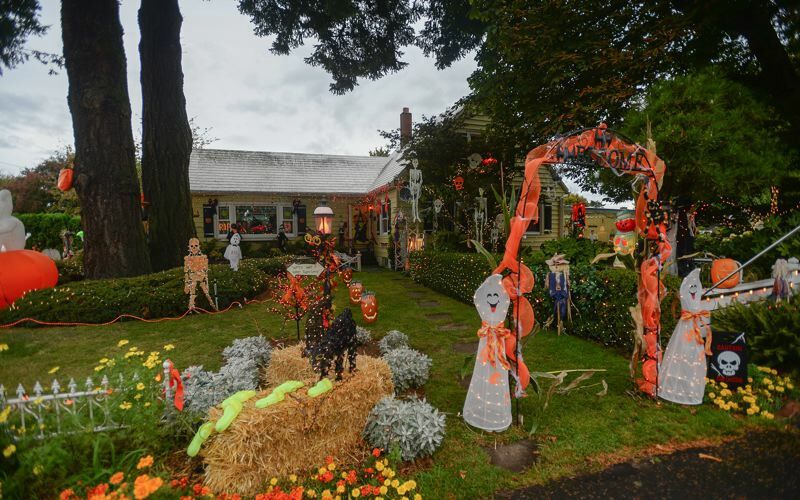 But don't miss the spook-tacular display in Troutdale through Halloween night. Masters of exterior illumination Rick and Linda Paz invite the community to drive by their home at 1722 S.W. Hensley Road in Troutdale to check out their annual Halloween display. "The yard is full," Linda said. "Everything is staked down so the Troutdale winds won't take it away." 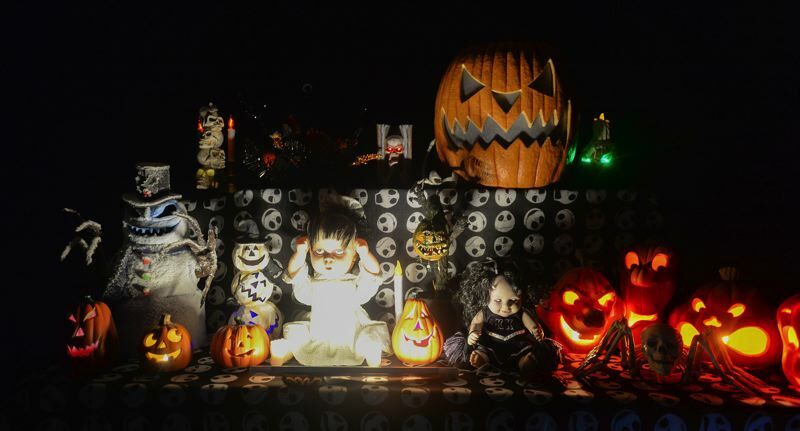 Visitors can check out numerous spooky lawn ornaments, lights and Halloween-themed scenes. The display is lit weeknights from 7-9:30 p.m. and 7-11 p.m. on weekends through Wednesday, Oct. 31. Here's a roundup of Halloween happenings around the area. • noon to 5 p.m. Donald Robertson Park, 24300 N.E. Halsey St., Wood Village. Great Pumpkin Fest features an artisan and craft market, pumpkin carving, live entertainment, pumpkin pie eating contest, as well as a pumpkin pie baking contest, pumpkin roll and more. Prizes will be given for the best costumes. • 5-7 p.m. Trunk or Treat, sponsored by River of Life/Cherry Park Presbyterian Church, 348 S.W. Cherry Park Road, Troutdale. Games and snacks. • 5:30 p.m. SALT Academy, SALT Works Theater, 333 N. Main Ave., Gresham. Maggie Mae's Kid's Bookshop will host a viewing of "The Witches," a dark comedy-horror film based on the Roald Dahl novel. Snacks will be available for purchase. • 5:30-7:30 p.m. Halloween Community Trunk-or-Treat, Mr. Hood Community College, Parking Lot D, 26000 S.E. Stark St., Gresham. Sponsored by the college's Associated Student Government Student Activities Board. Wear your favorite costume and pick up some Halloween treats. Free pumpkins (while supplies last), pumpkin decorations and refreshments provided. • 4-6 p.m. historic downtown Gresham. 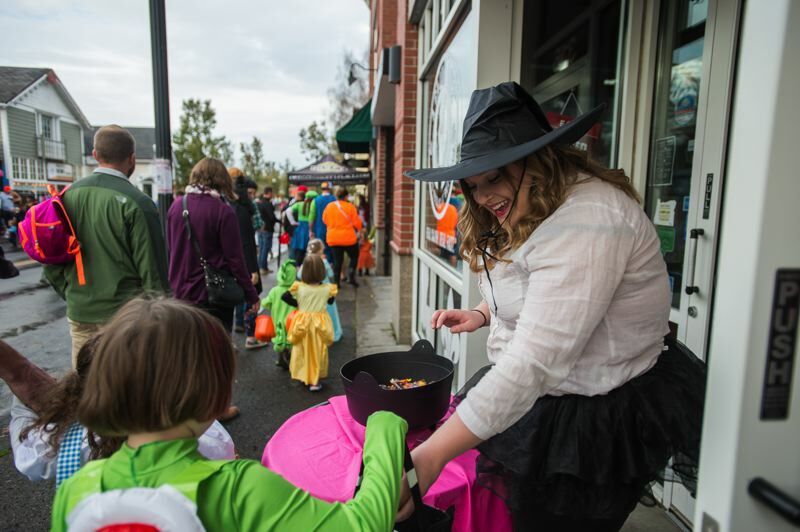 Big and little kids are invited to dress up and trick or treat among the merchants in the downtown area. North Main Avenue will be closed to vehicular traffic for the event, which draws an estimated 2,500-3,000 trick-or-treaters annually. • 4-6 p.m. Historic Columbia River Highway, downtown Troutdale. Visit participating merchants along both sides of the highway for Halloween goodies and treats. Don't forget to come in costume. • 5-7 p.m. Halloween Boo Bash, Columbia Gorge Outlets, 450 N.W. 257th Way, Troutdale. Add to the candy loot, by collecting treats from participating merchants at the outlet mall. • 5:30-7:30 p.m. Trunk or Treat, Pathway Church, 3848 N.E. Division St., Gresham. • 6-8 p.m. Trunk or Treat, Springwater Church of the Nazarene, 3445 S.E. Hillyard Road, Gresham. • 6-7:30 p.m. Trunk or Treat, St. Timothy Lutheran Church, 14500 S.E. Powell Blvd., Portland. • 6-7:30 p.m. Mountainview Christian Church, 1890 N.E. Cleveland Ave., Gresham. Games, snacks, indoor activities and Trunk or Treat. • 8-11 p.m. Saturday, Oct. 27, Halloween Dance Party, McMenamins Edgefield, Blackberry Hall, 2126 S.W. Halsey St., Troutdale. Costume contest, with music by Glass of Hearts. Tickets are $15 at the door. • 8 p.m. Wednesday, Oct. 31, "Rocky Horror Picture Show," Spinella's, 436 N. Main Ave., Gresham. Costumes encouraged for this classic and timeless sing-a-long. Tickets are $6 in advance.